Replacing what was most recently Pita Place, and previously Noodles and Ruthie’s, comes Heimish on Central, a Jewish food eatery where one can have Shabbos food any day of the week. 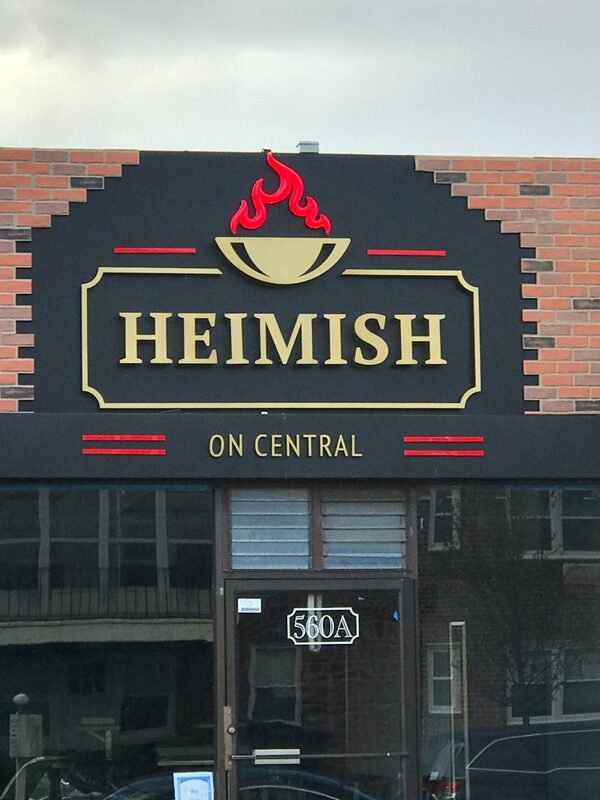 Heimish on Central should be opening up tomorrow, Thursday, for the public to come and try Jewish classics like cholent, potato & Yerushalmi kugels, kishke, short ribs, yapchik, and more. The restaurant’s offerings are a take on similar “Kosher style” restaurants in Williamsburg & Borough Park, Brooklyn such as Moishe’s Place or Gottlieb’s that serve up “VIP Plates” with many of the aforementioned items all on one personal platter. Other Jewish dishes will adorn the menu as well. Heimish’s hours will be Sunday–Wednesday 11am – 10pm, Thursday 11am-2am, and Friday 8am-2 hours before Shabbos. Kosher supervision under the Vaad of the Five Towns.